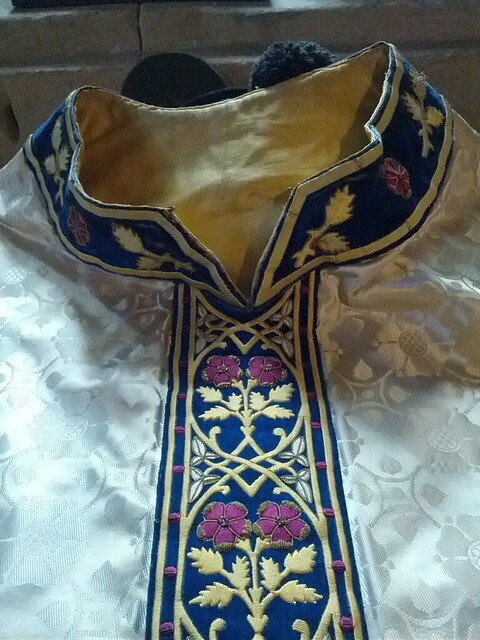 The Gothic versus Roman debate on vestments can lead to disproportionately strong feeling. The English College at Rome has a very fine High Mass set made by Pugin. 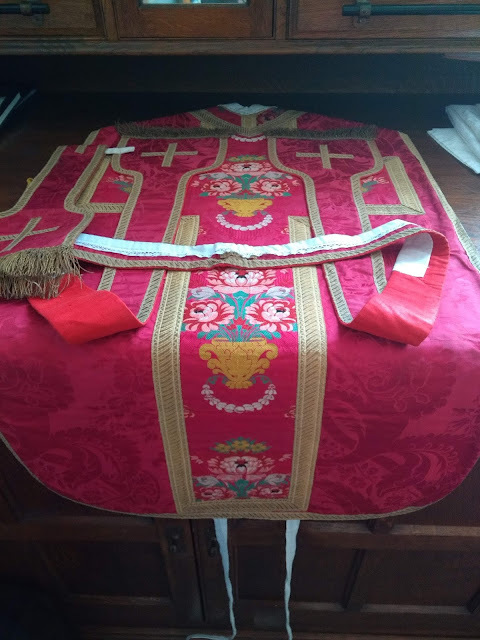 At least it was very fine until the one-time Rector, Arthur Hinsley, cut the chasuble into a Roman shape. Poor Pugin, who was known to have dramatic emotional outbursts, would have had the mother of all tantrums. Yesterday I had the pleasure of celebrating Missa Cantata for the feast of the Assumption at the shrine of St Augustine in Ramsgate with chant provided by the Schola Sancti Augustini under the leadership of Tom Neal. The shrine has recently received a massive grant from the Heritage Lottery Fund which is great news, since the plan is to restore Pugin's own Church to its former glory as well as providing a visitor and education centre. In the fading light of a gloomy Thanet afternoon I found the above set of vestments designed by AW Pugin himself, waiting for me on the vestment press as if, you know, "we have plenty of them down here." 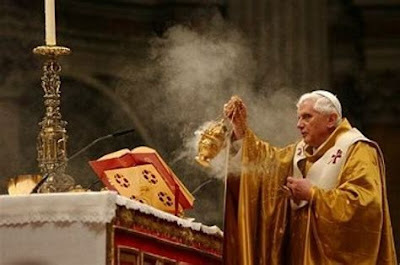 Most modern vestments, even in traditional style, have damask made of synthetic fabric. 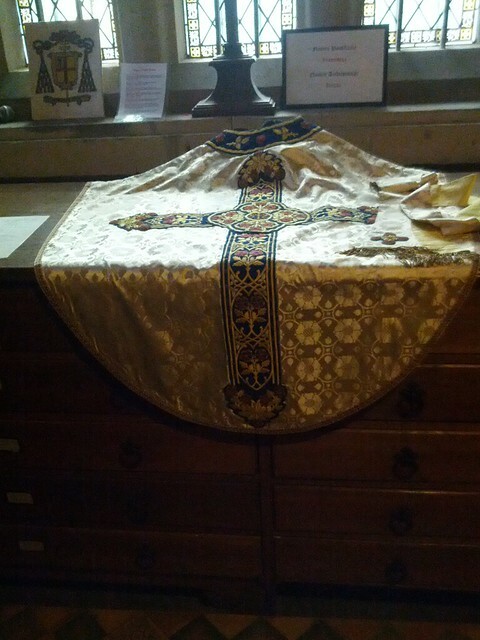 It is quite a contrast to put on a chasuble made with heavy cotton damask. Here is a close-up of the orphrey and medallion. There is an interesting detail on the front. The collar just about fitted round my medium-sized head but the cranially larger priest would have difficulty. 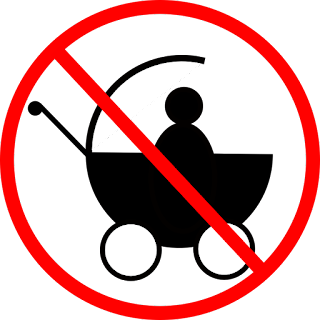 To avoid an embarrassing struggle, the collar has a small hook-and-eye clasp that is still in perfectly good functioning condition. After Mass I met yet another seamstress - there are at least three in my parish in Margate. We will be looking to form a local branch of the Guild of St Clare, I think. 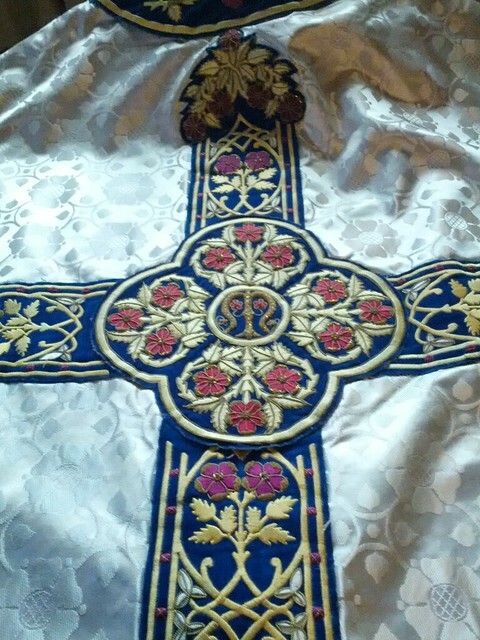 There are some fine patterns to work from in the area, and if gothic vestments can be made as splendid as the one I wore today in honour of the Assumption of Our Lady, I could be persuaded out of my predilection for baroque. - at least for some occasions anyway. Why are the readings not chanted?